How to sync salesforce calendar with google calendar? How do I synchronize my salesforce calendar with google calendar? Is it possible to integrate by any setting present in salesforce or I have to use any application? Thanks Karanraj, I got setting by this link. You can use the new application AutoMagic Sync (http://www.floatingapps.com), the smartest Salesforce - Google Apps integration. - Past events are automatically imported in Salesforce at installation. But AutoMagic Sync is much more than syncing calendars. We're now live in beta version, ask an invite here (http://www.floatingapps.com) to experience the magic, for FREE! No plugin, no browser extension, just 3 easy clicks to set-up your company! Amar, it installed but I have not idea where to go next to get it to sync with Google Calender? From Winter 18, both synchronization is available using the free and native extension lighting . You can find it in the Google Extension market for Chrome. Only available for GSuite, right? 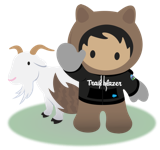 New to salesforce and also trying to get the sync working with Salesforce and Gsuite calendars. I have set up the integration so I can send emails through salesforce, but calendars will not update. Any ideas as to what could be wrong? Hi Jen, Your salesforce calendar is automatically sync and embedded with your Google (primary) calendar. There is no special setting to tell SFDC which is the calendar you want to sync. For private events, SFDC recommends to create an specific calendar on your Google account as just the primary will be sync. Hope this works! M.
How do we get Google Calendar events to sync, show in Salesforce? We just dont use Google Calendar. We use Outllok & Salesforce. Hoping to get all connected to one calendar in salesforce. Scott, what level of subscription are you on? I have realised that without upgrading to the Lightening Professional. On Lightening Essentials, the calendar sync will not work. Hi all. I'm using Salesforce Lightning and can't sync my google calendar and my salesforce calendar - my emails are syncing fine. Any help much appreciated.